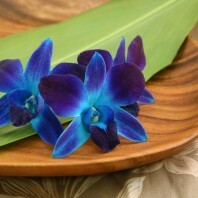 Hawaiian flowers, loose orchid blossoms, Hawaiian leis and blooming orchids are our specialties. All sent directly from farms on the Big Island to any US state by one or two day FedEx. Your flower delivery is guaranteed fresh by one or two day FedEx. So you can send Hawaiian flowers with confidence. 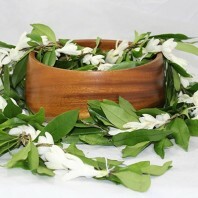 We have a wide selection of Hawaiian gifts as well. We are an on line only business; we do not have a walk in shop. This helps to keep our prices lower for you. 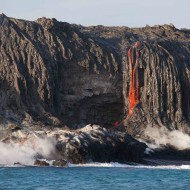 What is special about Hawaii? Maybe you were born here, married here, served in the military or had a special vacation in the islands. Everyone who touches these islands feels the spirit of ‘Aloha’ in it’s people, it’s land and in it’s ocean. We find ‘Aloha’ in Hawaii’s tropical flower arrangements and leis. This is our gift to you. With Our Aloha. These are our products but what we really provide is ‘aloha’. A way for you to express and share that feeling that says so much. We have Hawaiian words for thank you, family, honor and sympathy. All of these can be said with a gift of flowers, a Hawaiian lei or simple gift. Let us give that expression for you ‘With Our Aloha’. Choose your favorite lei. These include specialty leis such as fragrant ginger. Our most popular Hawaiian leis are made with fresh orchids. Orchids make a simple yet beautiful graduation lei. We are adding new styles of Hawaiian leis for 2018 but please order in advance as we sell out in May and June. We use these same fresh orchid blooms for our loose orchid blossoms. 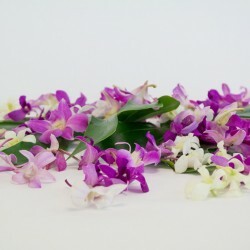 These beautiful orchids can be used to decorate your Hawaiian wedding, luau or other event. Use them on serving trays, drinks, tables and more. If you know how to make a lei use them to create your own orchid lei. 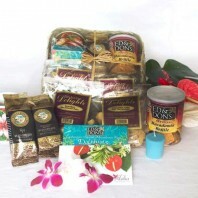 In addition to tropical flowers we offer a choice of Hawaiian gift baskets. 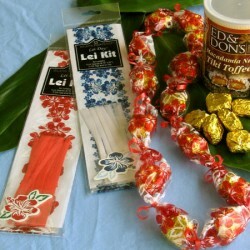 See our candy lei kits, gifts, Kona coffee, macadamia nuts, candies and treats. Our Flowers of the Month Club and Orchid of the Month Club will send a gift for 3, 6 or 12 months as you choose. 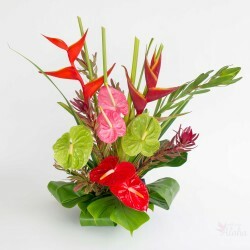 You can order Hawaiian flowers online at any time. There is a calendar on our checkout page that allows you to select the day you’d like your order to be delivered. Please don’t wait until the last minute so we can make sure your order arrives on time. For certain items such as the most popular graduation leis you must order a week in advance due to the special flowers and time needed to make the lei. Mother’s Day flowers are one of our most popular gifts and we usually run out of tropical flowers during Mother’s Day week. 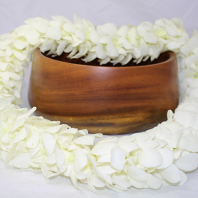 With Our Aloha has been sending our Hawaiian flowers, fresh leis and gifts since 2000. Want to learn more before you order? See our Guide to Hawaiian Flowers. We send care instructions with your order and we also have an on line guide on how to care for tropical flowers, leis and loose orchid blossoms. 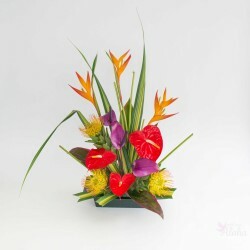 Tropical flower assortments arrive as full length stems. We include care instructions along with arranging ideas. There are also DIY flower arranging guides on our blog for each flower gift. We take pride in sending flowers that are grown right here in Hawaii. Each flower is cut and cleaned with care. They are packed to remain fresh during the one or two day shipping time to the mainland. Anyone can create a remarkable assortment in no time at all. We have several selections to meet any budget. 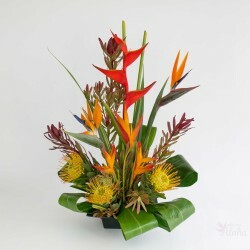 Larger assortments can be used to create two or more Hawaiian flower arrangements. All include tropical foliage which is not part of the stem count. 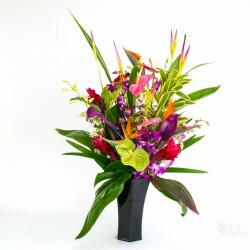 If you have friends or loved one’s at a hotel in Waikiki or living on Oahu we now have Honolulu florist deliveries with no added delivery charges. Our blooming orchids are grown with special care on the Big Island. Our specialty is dendrobium orchids. We have several types under cultivation. These make a special gift for someone’s home or for the serious orchid hobbyist. We’ll include simple instructions about caring for orchids. And your orchid delivery comes with Free Shipping! 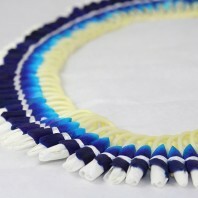 Hawaiian leis are made locally by a team of experienced lei makers. 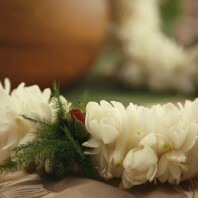 We have recently added to that team to offer fragrant leis, maile leis as well as many other traditional favorites. Some of our specialty leis such as micro ginger require a week advanced notice. So please do not wait, especially in May and June. Graduation leis from Hawaii are in high demand during those months. For your Hawaiian wedding we have Hawaiian leis for men and women. If you need a large number of leis for an event please let us know in advance for availability and special pricing. 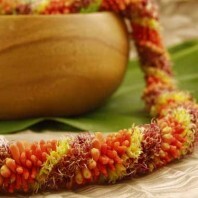 The lei giving tradition in Hawaii is now widely found on the mainland for these special occasions. 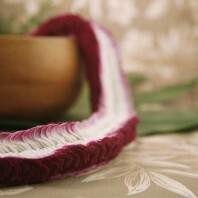 Fast shipping means your leis will arrive fresh and beautiful. Our Hawaiian gift items are local as well. 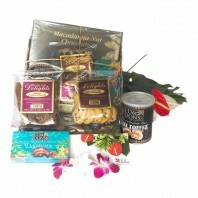 The candies, cookies, Kona coffee and macadamia nuts are all from local providers. Many are small family businesses with a long history in Hawaii. 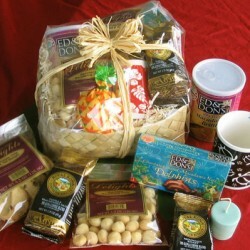 We have put together our most popular items in a selection of Hawaiian gift baskets and bags. These are not just candy baskets. We also have a selection of Hawaiian spa gifts. If you would like to make a small change to any selection just let us know in the comments section when you order gift baskets online. We will gladly substitute an item of comparable value. You can also design your very own bag or basket with our custom gift baskets. Mix and match the items to make your gift personal and from the heart. Select your favorites and add them to a wrapped gift basket or Hawaiian gift bag. Have a family member, friend or important client staying at a hotel in Waikiki? We’ll deliver a gift basket along with your personal note. 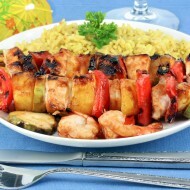 And unlike most companies we do not charge for delivery of Waikiki gift baskets. Just select one of the many choices on that page. We’ll also deliver to offices in Waikiki, Kakaako or downtown. Our Hawaiian gifts also make great wedding favors. Select single items such as our hand made soy votive candles with tropical essences. We also have natural bath crystals and soaps. If you would like to create your own gift bag for the occasion we’ll be glad to help. We now offer Priority FedEx service for shipping all flowers, leis, blooming orchids and Hawaiian gift baskets. This insures the fastest delivery and maximum freshness. So you can buy these beautiful flowers knowing they will arrive fresh. Many of our products include Free Shipping. See our Shipping Page for information and limitations. If you need help with an order please let us know. We can answer questions about shipping and delivery. We’ll help you with when to order and what flowers to recommend. We’ll tell you how to care for your leis, loose orchids blossoms or flowers. Worried about arranging your Hawaiian flowers? Check our blog for easy DIY instructions for each of our selections. Ordering flowers online need not be a stressful experience. We do this every day so let us help so your gift or planned event is perfect and everything arrives on time. Mahalo! From time to time we offer specials and discounts. These will apply to any delivery date. So even if your event or occasion is weeks away you can place your order and relax. Just choose your delivery date when you check out no matter how far in advance. To receive these special discounts please join our mailing list. You can also follow us on Facebook. We welcome your sharing your event or arrangment on our Facebook page. This could be a luau, graduation, wedding or other event. We get particularly busy in May with Mother’s Day flowers. In June, graduation leis always sell out. Christmas and Valentine’s Day are also a popular time to send fresh flowers. We highly recommend that you order early during these busy seasons.